If you are looking for some eco-inspiration, information and a little gift for yourself, get yourself over to the Factory Direct Promos (FDP) Green Living and Biz Blog because the carnival is in town and you have VIP passes. Join 28 green bloggers as they come together and bring awareness to the why behind the trouble with plastic bags through their own narratives. If you have ever wondered why plastic bags are bad for the health of our planet and even our health and well being, you will find the answers you are looking for and meet some of the best green bloggers on the web. 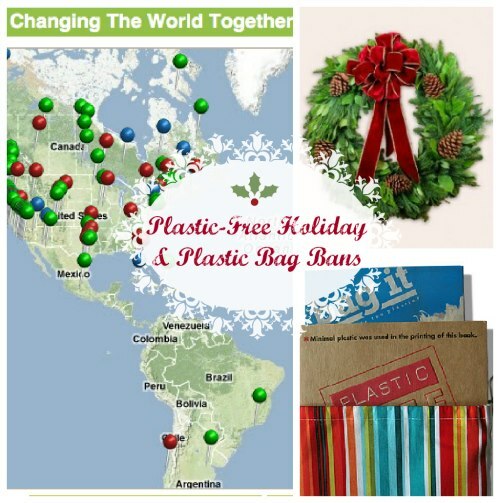 They have come together to highlight Factory Direct Promos new interactive worldwide plastic bag ban map and the necessity to choose reusable bags instead of single use plastic bags. The map makes it easy to see the worldwide problem that plastic bags cause and illustrates the stories behind the bag bans, bag fees and failed bag bans around the world. To make the holiday carnival even more memorable, Factory Direct Promos is offering a holiday gift code for $25 off anything on the FDP site with no minimum purchase. Factory Direct Promos is the leading manufacturer and supplier of eco-friendly promotional products like stainless steel water bottles, recycled content tees and hats, seed paper, reusable bags and even more products to help businesses, brands and organizations go green!